The Scott O’Dell award, created by Scott O’Dell and Zena Sutherland in 1982 and now administered by Elizabeth Hall, carries with it a prize of $5000, and goes annually to the author of a distinguished work of historical fiction for young people published by a U. S. publisher and set in the Americas. The winner is chosen by a committee appointed by Elizabeth Hall; its members are Elizabeth Bush, former librarian at St. Damian School and adjunct faculty at the iSchool at the University of Illinois; Ann Carlson, librarian at the Oak Park-River Forest High School; Roger Sutton, editor in chief of The Horn Book; and, as chair, Deborah Stevenson, editor of The Bulletin of the Center for Children’s Books. For more information about Scott O’Dell and the Scott O’Dell Award please visit scottodell.com or contact Deborah Stevenson at dstevens@illinois.edu. 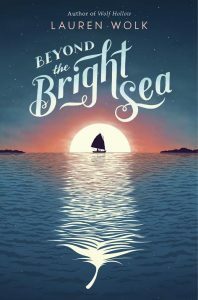 Cover image from Lauren Wolk’s Beyond the Bright Sea ©2017 used by permission of Dutton Books for Young Readers.